Calling all coffee lovers and java junkies! 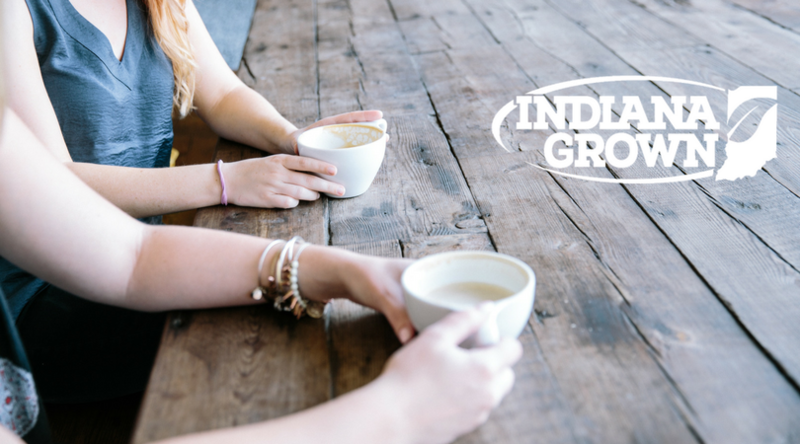 Indiana Grown is hosting its first-ever Coffee Connect on Saturday, November 4 in Broad Ripple! Come sip, sample and shop from a variety of Indiana coffee roasters, learn from local experts how to grind and roast beans to brew the perfect coffee, or just come to hang out with some amazing people/fellow caffeine enthusiasts and enjoy the aroma! Is there a special coffee drinker in your life? This is the perfect place to find them a gift. Hosts, Bent Rail Brewery, will also be offering a have a special brunch menu featuring local foods. So, if you love coffee and supporting local, join us at the Indiana Grown Coffee Connect from 10 a.m. to 2 p.m. at Bent Rail (5301 Winthrop Ave, Indianapolis, IN). We encourage you to invite friends, loved ones and those coffee connoisseurs in your life!